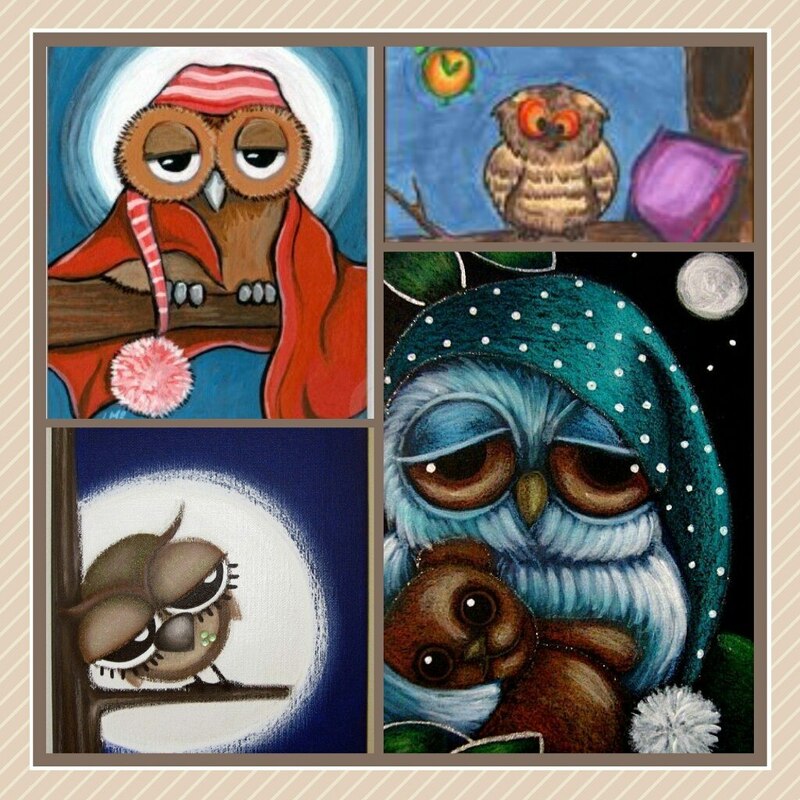 I have an Owl Hobby! It was a coincidence! I was randomly browsing for a sleepy type of an owl for my Twitter status, when I came across a collection of painted owls by K. Chin artist (not promoting this person). I have made a little start up collection from different people or websites. It became my long term hobby, so now I'm collecting everything owl related. 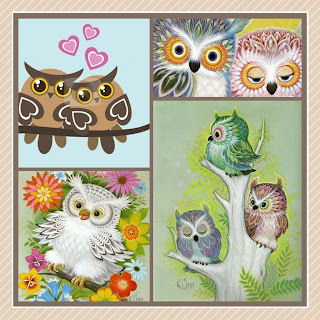 I'm still in search of owl decor in shops near by, and I have found few, which hopefully I will buy next week for our house. I plan to decorate our house with few owl bits- Owl door stops are a must, Dunnes (shop in our area) sold them few months ago, but I didn't think about it then, which I regret now. Apart from my picture collection, I have something owl related back at my parents house, which my mum bought for me, but I still haven't seen it- so I'm really looking forward to heading back home!